It's crispy, rich, and smooth! 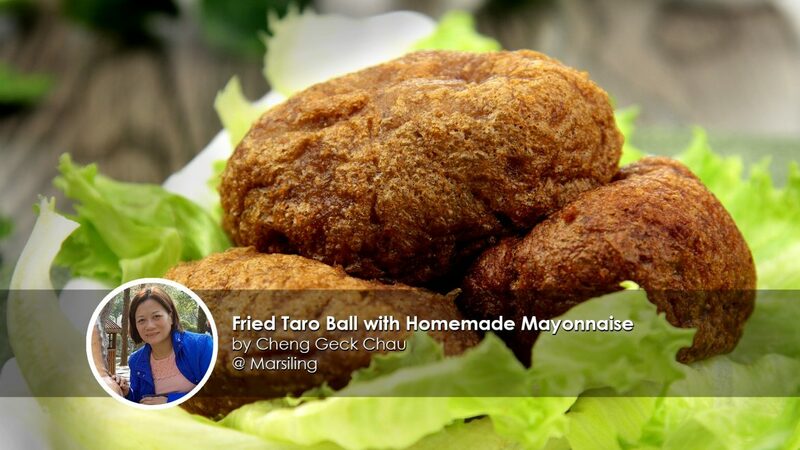 Home cook, Geck Chau shares with us her Fried Taro Ball with Homemade Mayonnaise! As the saying goes, "don't judge a book by its cover", this home-made Fried Taro Ball may have an unassuming appearance, but don't be deceived by its looks - you'll be surprised at how lightly crisp it is on the surface, yet underneath the crunchy exterior, lies a creamy yam paste with the juicy and savoury pork filling that will blow you away. 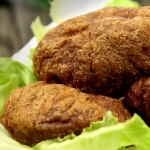 The Fried Taro Ball can be found in most Chinese Dim Sum restaurants and is thought to have originated from the Southern Chinese province of Guangxi, where the humid climate provides an ideal environment for tropical root vegetables like the taro to flourish. Complement the mouthwatering Taro Ball with simple homemade mayonnaise, and bring the dish to another level of decadence! What are you waiting for? Full recipe right below! P.S. While this is a really tasty recipe, we are still in search for the secret to the honeycomb crisp. 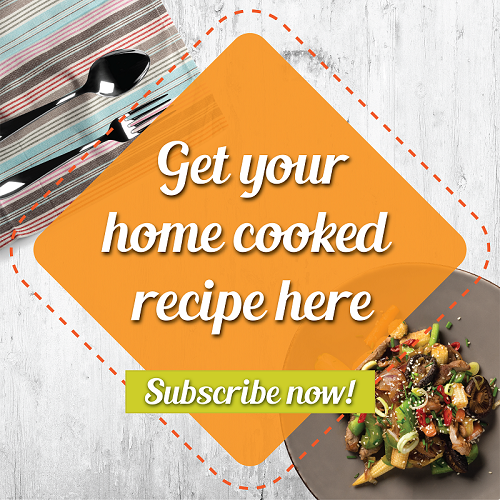 If you have the recipe, please share it with us so that we can share the love with the other fellow home cooks! 3 pieces chinese dried black mushrooms soak in hot water for 30 mins. Squeeze out the water, diced into small pcs. In a mixing bowl, marinate the minced pork with the seasoning. Cling wrap and let it marinate for at least 20 mins. In a frying pan with 1 tsp oil, stir-fry garlic, pork, shrimp and spring onion. Add the seasoning and cook till it thickens. Remove from stove, pour it into a bowl and let cool. Once it has cool down, cling wrap and put it in the chiller for 1 hr. Steam the diced yam for 30 mins or until soft. Transfer the yam to a mixing bowl and mash it. In a separate bowl, mix wheat flour with boiling water. Together with butter and the seasoning, add the mashed yam. Use a masher to combine the ingredients, once it has cooled down, if required, use hand to do the final kneading. Cling wrap and chill it for at least 2 hrs. Remove the ingredients from the chiller. Split the taro into 12 portions of 80g each. With the cling wrap on the table top, roll flat each Yam ball, take a tsp of the filling, put it in the middle. Wrap and make it into an egg shape. 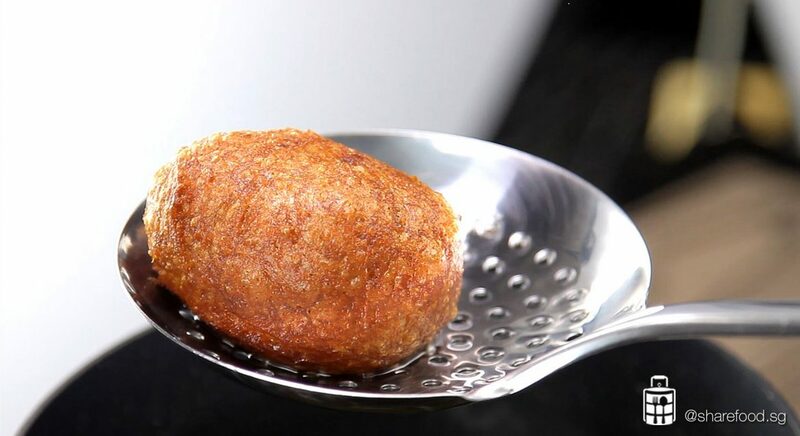 In a saucepan with 150 Degree Celsius oil, fry the maximum 3 yam ball at a time for 3 minutes. Increase temperature to 200 degree Celsius, and fry for 1 min. Once cooked, set aside on a kitchen towel to drain the oil. In a cup, add all the ingredients. 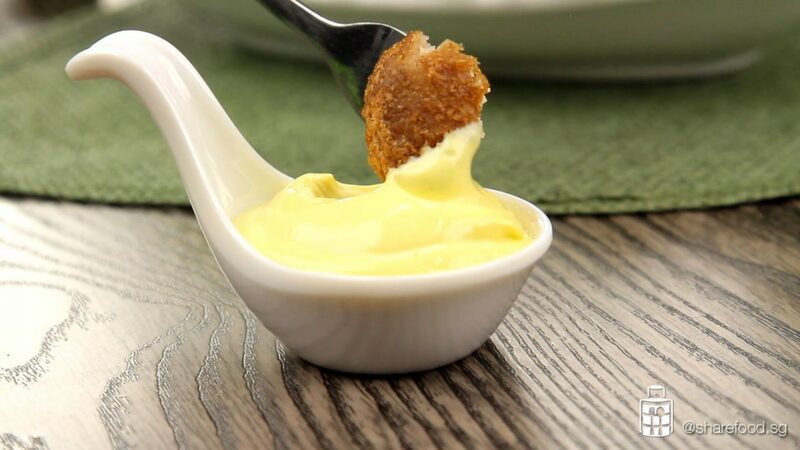 Blend till the mayonnaise forms.